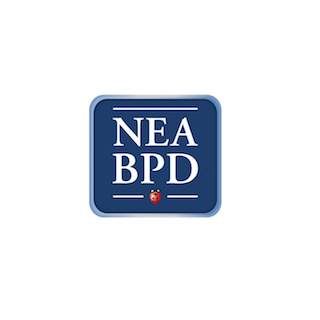 The NEA-BPD provides education, raise public awareness and understanding, decrease stigma, promote research and enhance the quality of life of those affected by Borderline Personality Disorder. The site was started in 2001 and is listed by Alexa/Yahoo as the fourth most popular website for personality disorders and fourth for Borderline personality disorder. NEA-BPD works with families and persons in recovery, raises public awareness, provides education to professionals, promotes research, and works with Congress to enhance the quality of life for those affected by this serious but treatable mental illness. Family Connections™ is a 12-week course that meets weekly to provide education, skills training, and support for people who are in a relationship with someone who has BPD. Focusing on issues that are specific to BPD, it is hosted in a community setting and led by trained group leaders who are usually family members of relatives with BPD. Dr. Alan Fruzzetti and Dr. Perry Hoffman developed the course based on their research as well as their significant professional expertise in counseling people with BPD and their loved ones. Family Connections provides: current information and research on BPD and on family functioning; individual coping skills based on Dialectical Behavior Therapy (DBT); family skills; and group support that builds an ongoing network for family members. Pros This site has a great library of professional presentations captured from their conferences. It also has a very well managed, volunteer run, family connections day seminar for families - second to none. Cons Accessibility. Family connection presentations are few and far apart. The conference videos are long and not produced for home viewing. I attended an afternoon seminar in Houston last year and it was really good. Having a child with this disorder is challenging and it helps to talk to others facing the same challenges. I am also active on BPDFamily.com . They reinforce that same basic concepts. It is really helpful to learn these skills and to also have a place to go when you are having a family crisis for help and guidance. My daughter and I appreciate both of these organizations very much. I read that more "Family Connection" volunteer instructors are being trained, Very glad to hear this. This is a great educational site. The videos are excellent.